Push a button and the "wax figure" of Robert E. Lee, a.k.a. 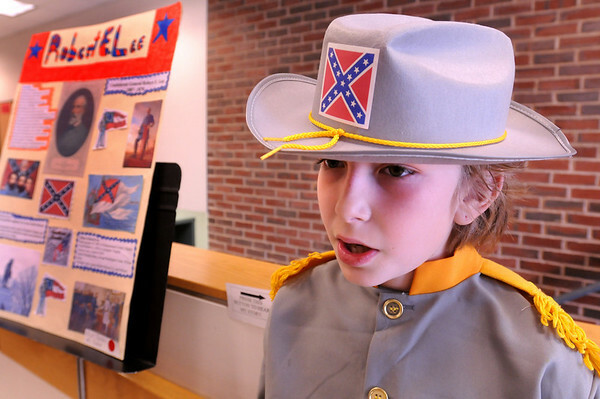 Elijah Jackman, 10, comes alive telling the story of the general of the Confederacy at the Cashman School in Amesbury on Thursday. Students chose an historical figure to research then present at the school's annual event.